The setup of the modern cars we drive can trace their roots back to something designed by Panhard et Levassor around the turn-of-the-century. Their system was simple: four wheels, engine up front, rear-wheel drive, and a transmission. Yeah, they were the first company to use a gearbox… and a steering wheel… and a front-mounted radiator. You get the idea. This car is powered by a 4.4-liter straight-four engine that was rated at 16 taxable horsepower when new. Only eight of these cars were built between 1899 and 1900. 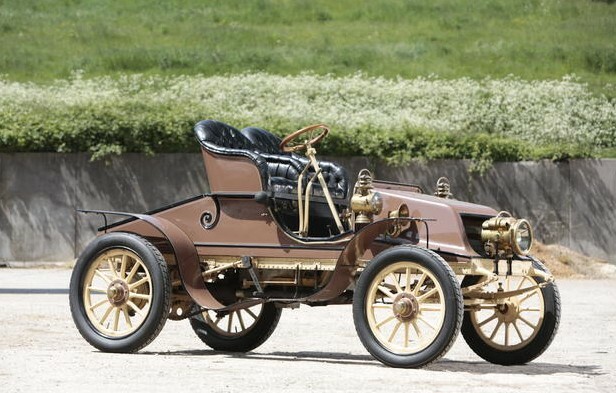 Then, the engine was updated for 1901, and Panhard cranked out 153 additional examples through 1903. It was restored during British ownership, where it remains, and it has been updated with modern conveniences like an electric starter. 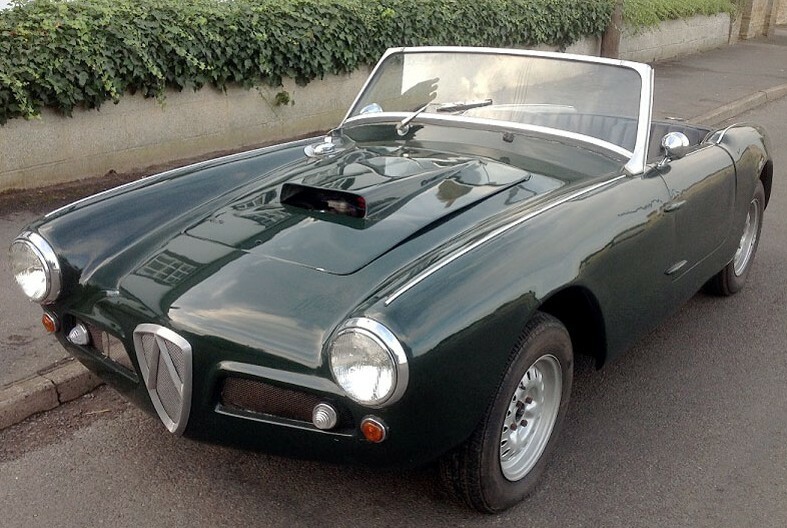 It’s a great London-to-Brighton car and should cost its next owner between $315,000-$375,000. Click here for more info and here for more from this sale. Knowing that this car was sold new in New York City really allows you to picture it on the street in its heyday. This is the type of car you see Gilded Age robber barons stepping from in jumpy, grainy black and white newsreel footage. It’s a large car from what was then one of Europe’s oldest and grandest automakers. The X7 was part of Panhard’s 20 horsepower model line that lasted from 1910 through 1915 (as were the U9, X9, and X14). These were big, expensive cars and not many were produced. Production for this series totaled just 1,288 units. The engine is a 4.4-liter, Knight sleeve-valve straight-four making approximately 25 horsepower. The ownership history of this car is known to the 1960s when it was equipped with a Touring car body. During a restoration sometime after the 1960s, this Landaulette body was re-installed. The current owner had the interior redone at a much later date. This car is a driver and would be welcomed at most shows. It should bring between $75,000-$95,000. Click here for more info and here for more from this sale. In today’s market, the hot segment is SUVs, particularly small SUVs. Mazda has the CX-5, Honda has the CR-V, and Toyota has the RAV4 (among many, many others). But think back to just prior to the turn of the century (as if any of us were there). There were a fair number of automakers and they were all competing for business. But they all produced completely different vehicles, right? Well, apparently, in the late 1890s, the Wagonette was a popular segment to be in. Check out this Daimler (and this one) and this Fisson. Who knew? This Type M2F Wagonette is powered by a 1.7-liter straight-twin making six horsepower. It is thought that it was discovered alongside two other extremely old cars in France in the 1960s. The restoration on this car is a few decades old, but it’s seen continual use (such as the at the London-to-Brighton run) and has been kept in very nice condition. There are some of these out there, but I’m not sure how many were actually built. It is one of very few early Panhards in the U.S. and is a great example of what was once a popular car. It should bring between $250,000-$350,000. Click here for more info and here for more from Bonhams. 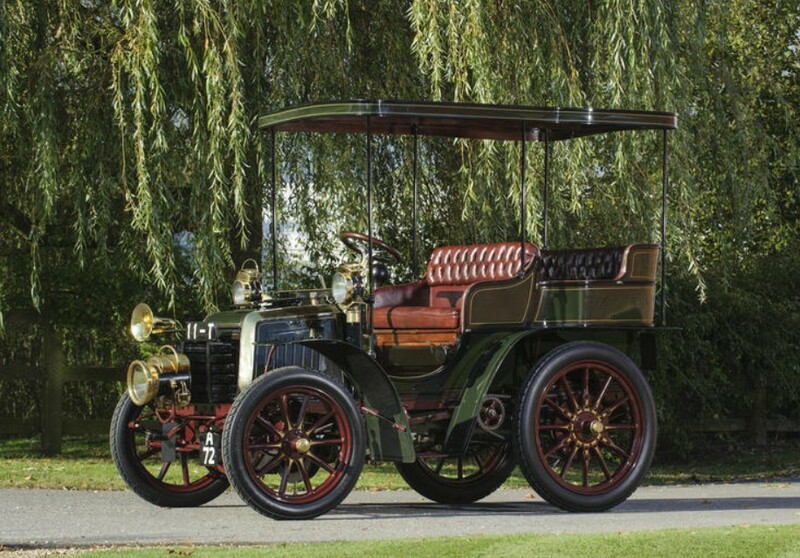 Artcurial is offering a collection of Vanvooren-bodied automobiles at their Rétromobile sale. It’s one of the most packed auction catalogs I’ve ever seen and we will be featuring more cars from this sale than just about any other sale in the past seven years. This big, beautiful Panhard is a Type 14, which was introduced in 1911. It features a 4.4-liter straight-four which was rated at 20 taxable horsepower. It’s a big Torpedo tourer and one of the earliest Vanvooren-bodied cars in the world. Sold new to a customer in Buenos Aires, this car later made it’s way back to Europe. Unbelievably, it is 100% original (the up-close patina is incredible) and since 1995, it has been either in large private collections or museums. Because of it’s museum stints, it has not seen the road in quite some time and will require a little work to get it roadworthy. It should bring between $215,000-$315,000. Click here for more info and here for more from Artcurial. November started off with one of our favorite sales of the year, Bonhams’ London-to-Brighton. We featured nearly half the cars in the sale and some for big money, including $376,362 for the Westfield and $295,610 for the Germain, but neither of those were enough to be this year’s top seller, which was this $428,230 1903 Panhard et Levassor Model B 10HP Four-Cylinder Rear-Entrance Tonneau. The Eldredge and the Santler failed to sell, but the Salvesen Steam Cart brought $207,516. 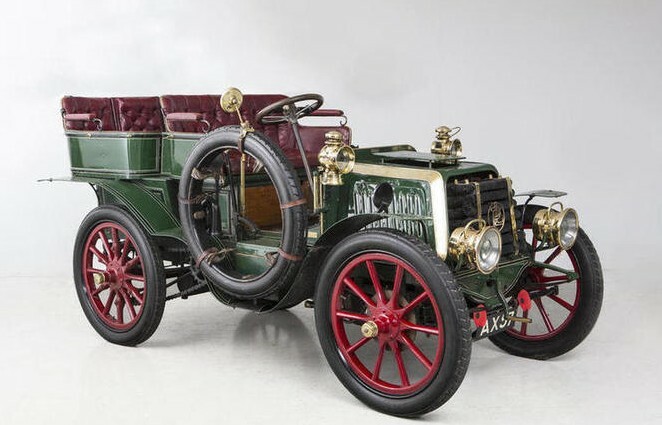 Some of the lighter cars that sold were the Toledo Steam car for $34,673, the La Libellule Tricar for $42,211, and the Royal Enfield Quadricycle for $66,332. Another Quadricycle, the Daley, sold for $39,196. A previously featured Humber finally found a new home for $81,250. The rest of our feature cars all sold with the Vivinus bringing $76,845, the Ader $117,221, and the Schaudel $192,834. Click here for the other sales. 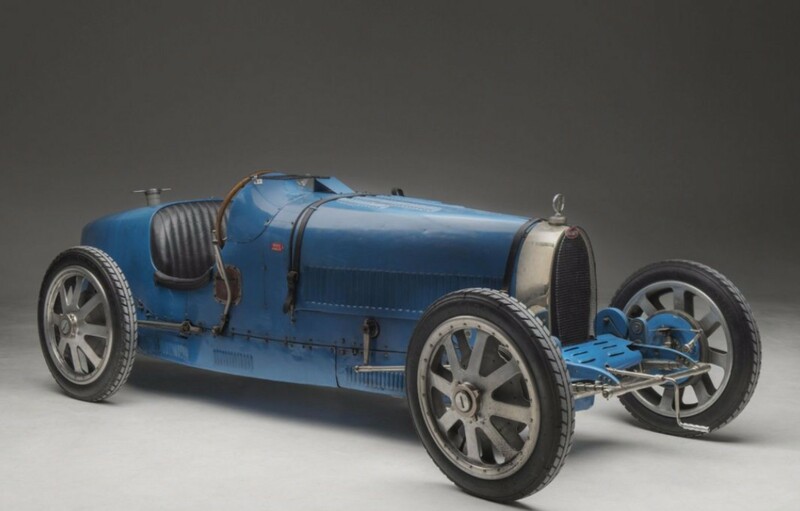 This 1925 Bugatti Type 35 was the top sale at Artcurial’s sale in Paris. It went for $1,669,913. The similar-looking G.A.R. cyclecar we featured sold for $20,750, a comparative bargain. Click here for the rest of the results. Next up, Silverstone Auctions’ NEC Classic Motor Show Sale. 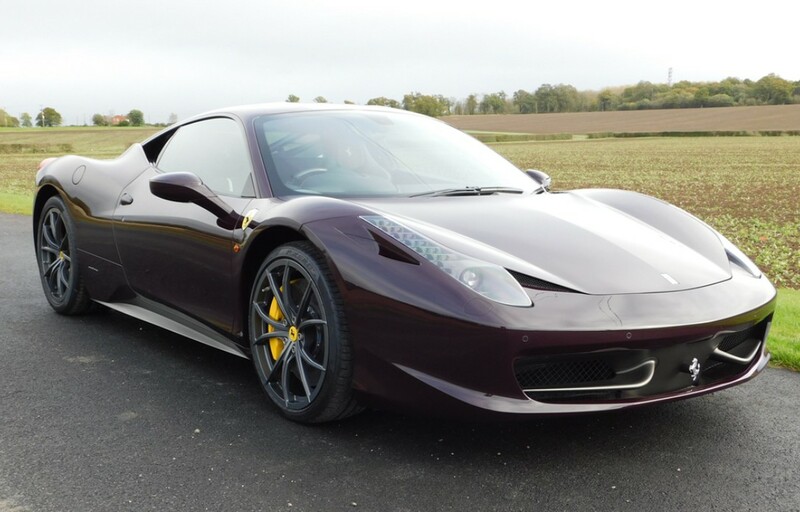 The top seller was this 2010 Ferrari 458 Italia for $181,032. The TVR Tina failed to meet its reserve. Click here for more results. Onward to Aguttes’ sale in Lyon. 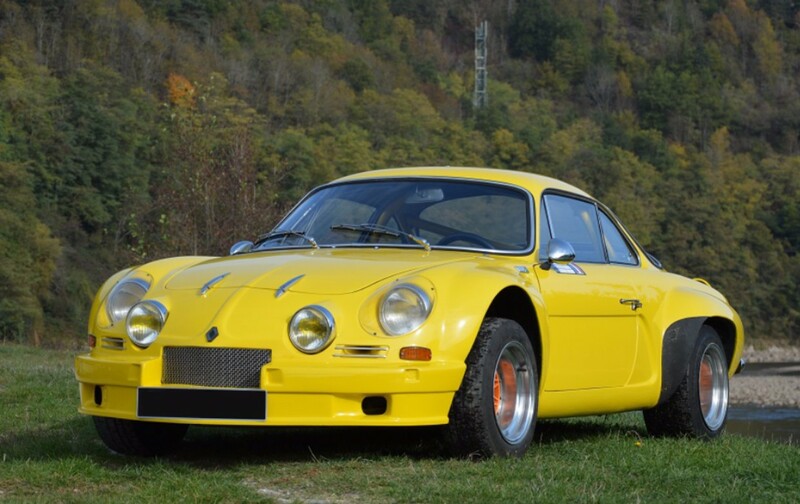 No feature cars here, but the top seller was this 1970 Alpine A110 1600 S that sold for $102,478. Click here for other sales. Finally, Mecum in Las Vegas. 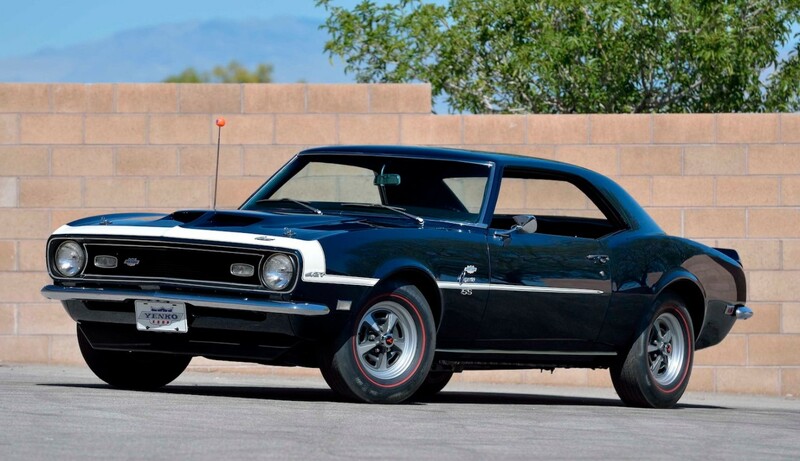 The top sale here was $600,000 for this 1968 Chevrolet Camaro Yenko. We featured three beautiful American station wagons from this sale and their results are as follows: ’48 Buick – not sold, high bid of $26,000; ’53 Chrysler – sold, $48,000; ’69 Dodge Coronet – not sold, high bid of $13,000. Click here for the rest of the results. If I were handed the photo above with no information and told to guess the year of manufacture, I would probably guess 1902 or 1903. This is what cars looked like in 1902 and 1903, for the most part. But no, this is from 1899. While three to four years might not seem like much, these particular three to four years were light years in terms of automotive development. And Panhard-Levassor was at the forefront of it. Most pre-1900 cars had a more “horseless carriage” look to them, but René Panhard devised this layout – the now-ubiquitous front-engined, rear-wheel drive car (with a clutch, gearbox, and rear differential). All successful automobiles thereafter adopted this (more or less). Then again, by 1899, Panhard-Levassor had almost 10 years of automobile production under their belt. This car is powered by a vertical 1.2-liter twin-cylinder engine making four horsepower. 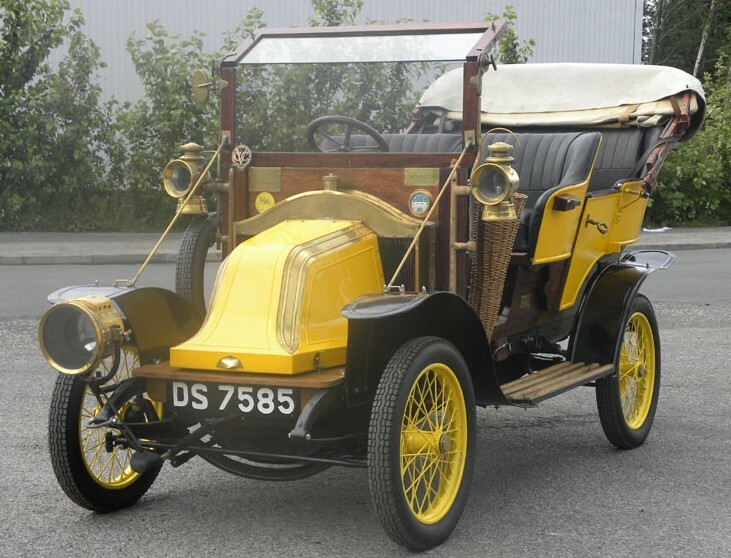 The original owner is known, but the car wasn’t restored until its 100th birthday. And now its the perfect car for the London-to-Brighton run. It should bring between $460,000-$540,000. Click here for more info and here for more from this sale. 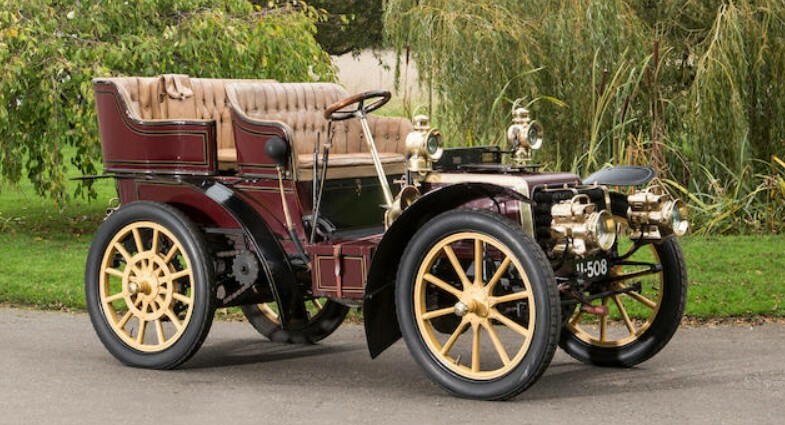 We featured a 1902 Panhard et Levassor about a week and a half ago. It’s similar to this car, but also quite different – especially when it comes to the body. This has a body by famed French coachbuilder Henri Labourdette. It’s a rear-entrance tonneau with a big, tall hardtop (yet zero weather protection). This body is actually original to this car, which is very rare for a car that is almost 115 years old. The engine is a 1.7-liter twin making seven horsepower. The original owner of this car is known and it was the 11th car registered in Toulouse. At some point, probably around WWI, it was stashed away in the basement of a castle. It wasn’t until the 1990s that the car was rescued and restored. I like that the front and rear tires are of differing diameter. 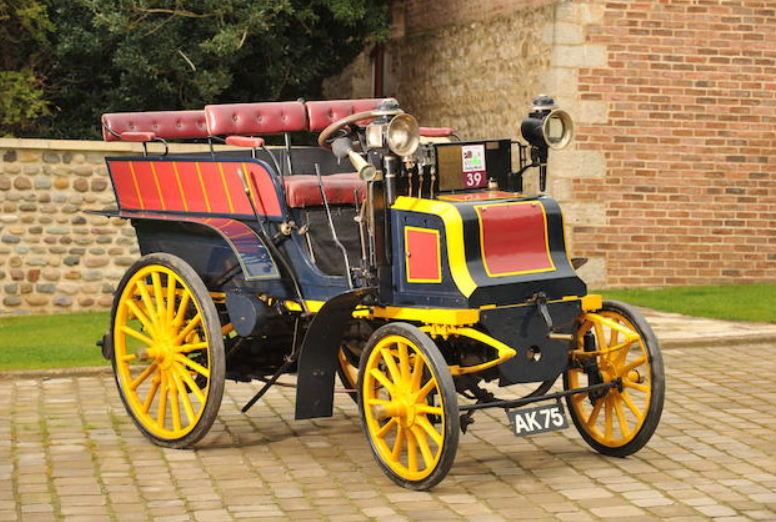 This is a great example of an early motorcar – and the top retains its original leather. It should sell for between $320,000-$400,000. Click here for more info and here for the rest of this auction’s lineup. Panhard et Levassor was one of the first automobile manufacturers in the world. They’re still around, too, even if they haven’t built passenger cars in decades. They began selling cars in 1891 – becoming the first company to offer a production model. And they sort of came up with the whole “put the engine in front and have it drive the rear wheels via a transmission” thing. 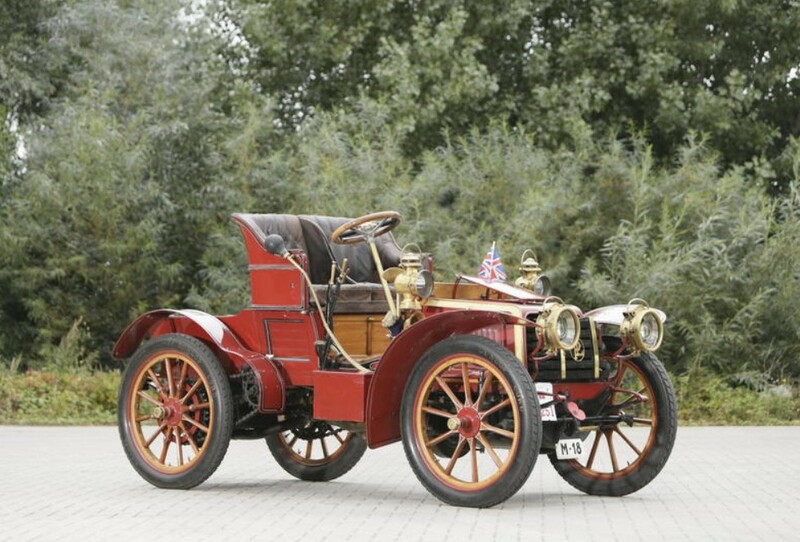 This car uses a 3.3-liter straight-four and has a four-speed transmission, which seems pretty cool for 1902. 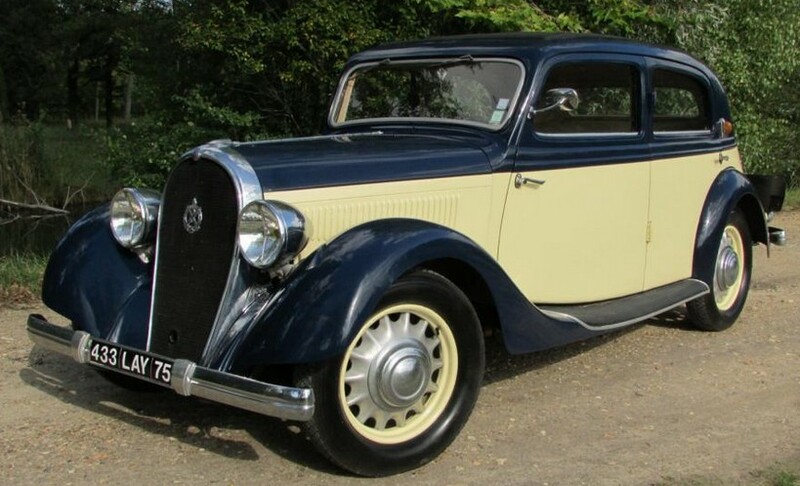 It was purchased new from Panhard’s Paris showroom by Ricardo Soriano, a Spaniard who would later have his own car company (for a few years, anyway). It was the 18th car ever registered in Madrid. It remained with that family until 1945, when they had the car moved to a collection – where it stayed until 1975. It was restored in ’75 and it passed into another collection that year. The new owners held onto it until 2007. It is being offered from the third owner. It’s a very early, running, driving, and complete automobile. Many parts are entirely original, which is incredible. It can be yours for between $960,000-$1,100,000. Click here for more info and here for more from this sale. First up, we head to Paris for a sale from Osenat. I wasn’t able to feature anything from this sale, but wanted to feature this 1935 Hotchkiss 411 Cabourg. It sold for $17,800. 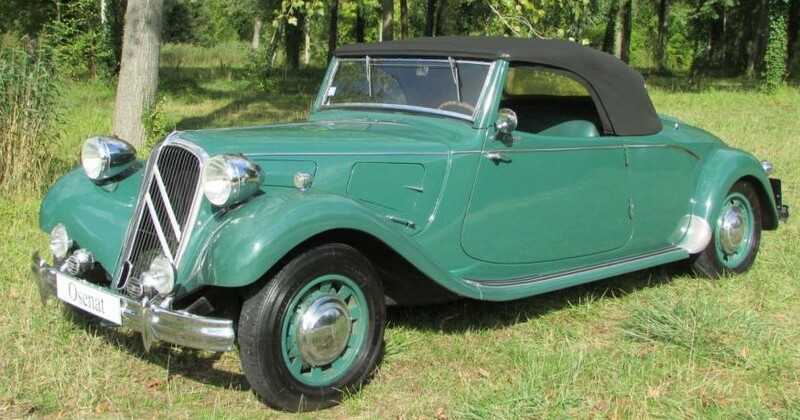 The top sale was this 1937 Citroen Traction 11B Cabriolet for $117,800. Click here for full results. Next up was H&H’s sale at the Imperial War Museum. 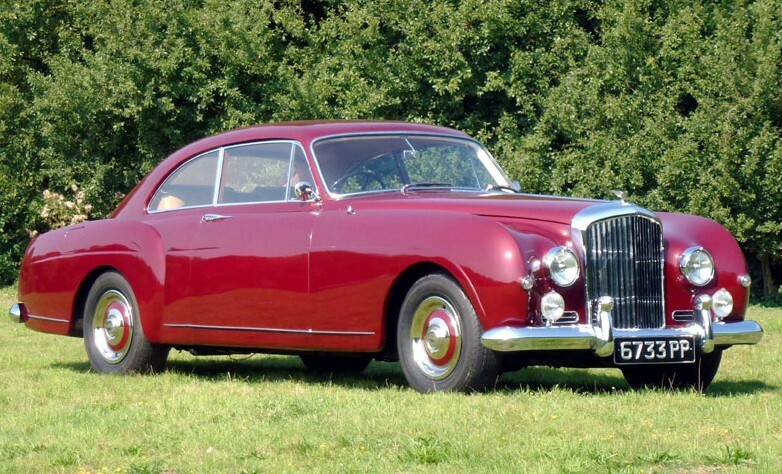 The top sale there was this 1956 Bentley S1 Continental Fastback. It brought $498,900. Cool cars were topped by our feature cars: the Argyll sold for $56,250 and the Briton failed to sell. 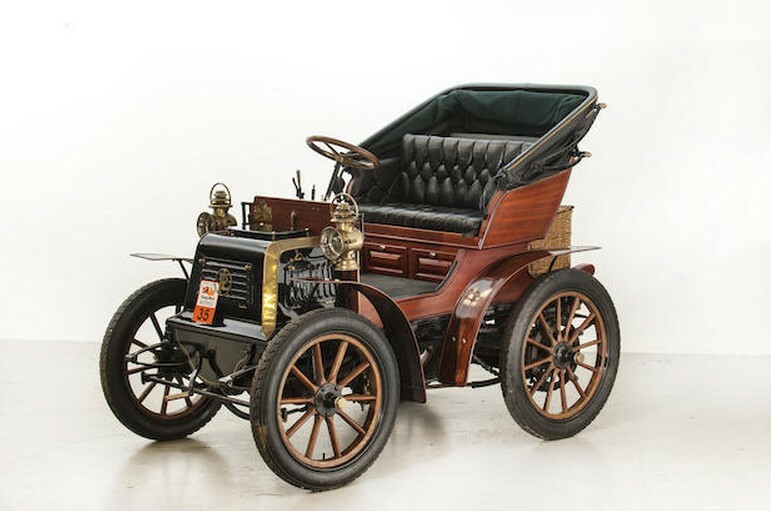 Next up was this 1910 Renault AX Tourer for $36,000. And finally, a weird one: a 1965 A.K.S. Special. These kit cars were made by Auto Kraft Shells in England during the 1950s and 1960s and this one is based on a Triumph Spitfire. It sold for $5,080. Click here for full results. Artcurial’s October sale had some big numbers. 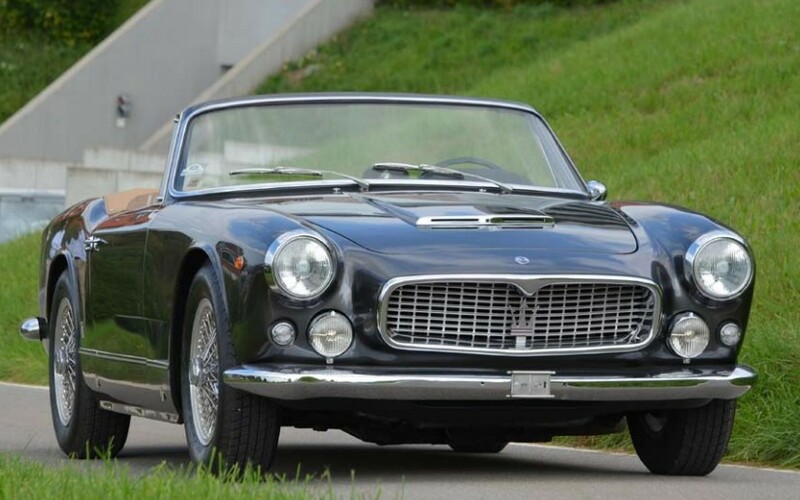 The top sale was this 1962 Maserati 3500 GTI Cabriolet by Vignale for $704,972. Our featured Lamborghini LM002 brought $125,669. And the Matra Djet sold for $67,432. 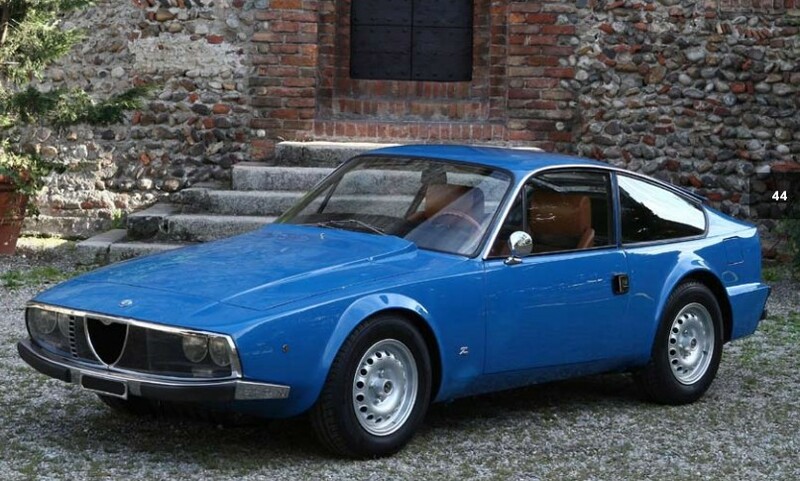 Interesting cars were topped by this 1972 Alfa Romeo Junior 1600 Zagato Coupe which went for $56,704 (no links to the individual catalog pages as Artcurial had taken them down). 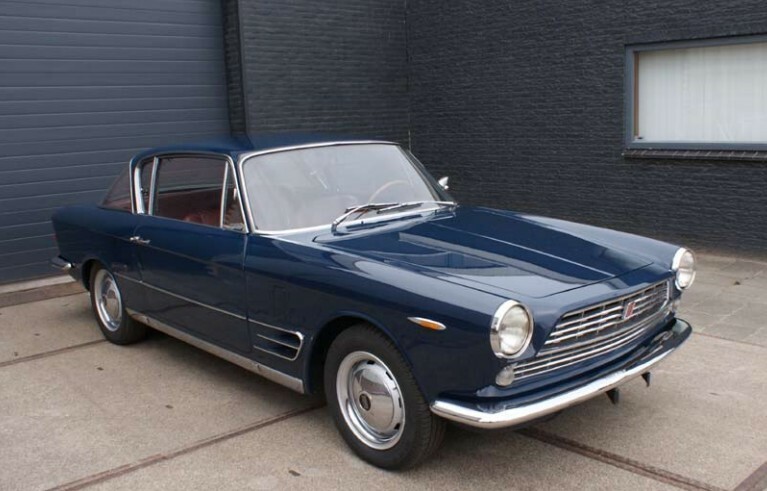 Then there was this 1968 Fiat 2300 S Ghia Coupe which sold for $26,053. Check out full results here. 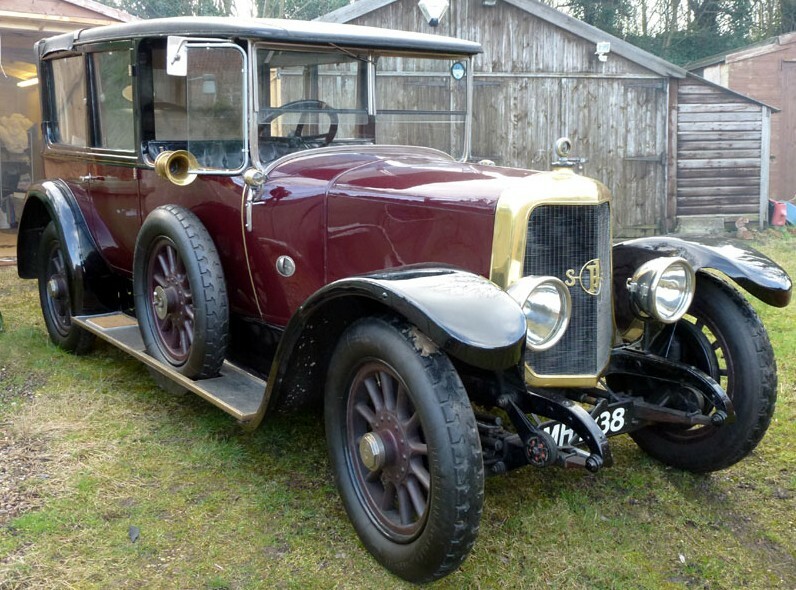 Moving on, H&H’s October 30th sale at Pavilion Gardens saw one of our featured cars (the Brough Superior road car) as the top sale. It brought $107,800. Our other feature car, the Mills Busy-Bee, sold for $15,100. The coolest other car was this 1924 Panhard et Levassor X46 Landaulette that sold for $32,000. Check out full results here. And finally, Bonhams’ London-to-Brighton sale. The top sale was our featured Clement-Talbot for $967,458. 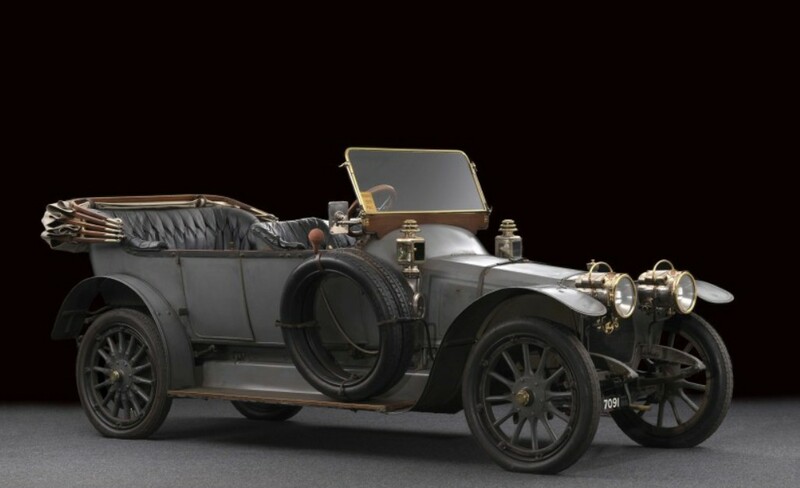 Second place went to this very interesting 1902 Panhard et Levassor Type B1 12HP Four-Cylinder Rear-Entrance Tonneau by Labourdette. It sold for an equally-impressive $931,714. Our featured Warwick failed to sell. The Ariel tri-car/quadricycle sold for $73,401. 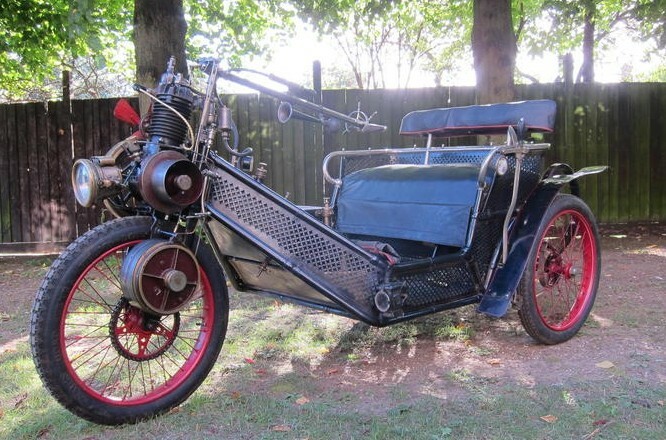 There was another cool three-wheeler at this sale: a 1904 Cyklon 3.5HP Cyklonette. It brought $47,710. Our featured Georges Richard sold for $91,571. And the Lacoste et Battmann went for $123,920. One more cool car: a 1903 Winton 22HP Twin-Cylinder Two-Seat Runabout. That’s a decent amount of power for 1903 – yet another reason why Winton was awesome. This could’ve been yours for $172,173. Check out full results here. Gooding & Company held their very successful Monterey sale last weekend. They had the top two cars in terms of selling price. The top car was this 1936 Mercedes-Benz 540K Special Roadster. It sold for $11,770,000 including buyer’s premium. It is an astounding car at a price that was more or less expected. Not far behind was, not surprisingly, this 1960 Ferrari 250 GT LWB California Spyder Competizione. This was the 1960 Chicago Motor Show Car and one of a few high-dollar Ferraris sold from the Sherman Wolf Collection. It sold for $11,275,000. Other Ferraris from this collection included our featured Ferrari 340 MM Spider that brought $4,730,000. Also from this collection was the 1957 Ferrari 500 TRC that sold for $4,510,000. The final car from the Sherman Wolf collection also went for over a million dollars (unfortunately, do to the insanely high number of million dollar cars, those are the only ones we’re recapping in this rundown. Fortunately, these are also the most interesting cars). It was this 1985 Ferrari 288 GTO. If $1,045,000 isn’t a world record price for this model, it’s pretty close. Our other featured Ferrari, the ex-Andy Warhol 1955 857 Sport, sold for $6,270,000. And another really high-dollar Ferrari was another California Spider, this one a 1957 LWB Prototype for $6,600,000. For something other than a Ferrari, check out this 1928 Bentley 4.25-Litre Le Mans Sports Bobtail that brought $6,050,000. A couple of Maseratis up next, first the ex-Jay Kay 1955 A6G/2000 Berlinetta by Frua (below). It sold for $1,650,000. And the 1959 Tipo 61 Birdcage (second below) sold for $3,520,000. Mercedes-Benz 300SLs were, as always, well represented. Two of them cracked the million dollar mark at this sale. Strangely, a Roadster was the highest-selling of them all. A white 1963 300SL Roadster sold for $1,595,000 and a blue 1955 300SL Gullwing sold for $1,127,500. There were three million dollar Bugattis at this sale, the cheapest of which being a 2008 Veyron at $1,182,500. 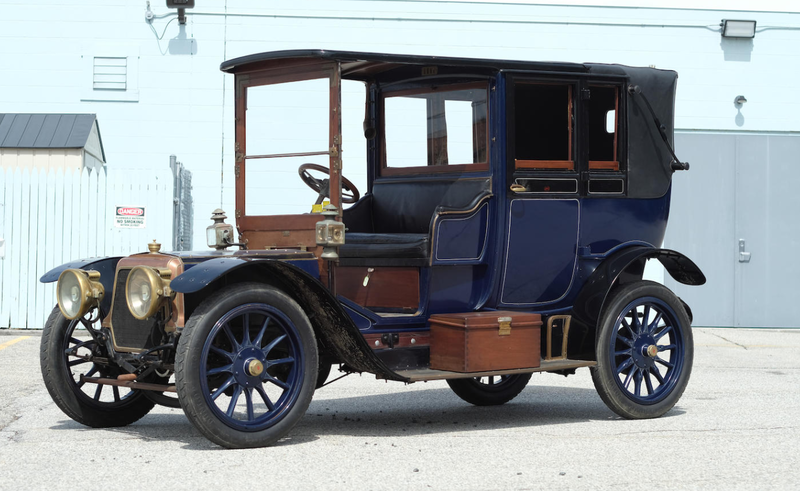 Our featured 1920 Type 13 sold for $379,500. Our other featured Bugatti, the 1932 Type 55, failed to sell. A 1938 Type 57C Stelvio brought $1,292,500. The other Bugatti was a beautiful yellow and black 1936 Type 57 Atalante. It sold for $1,485,000. This 1964 Ford GT40 Prototype is the second-oldest GT40 in existence. It sold for a hefty $4,950,000. Our featured – and unbelievably awesome – 1932 Daimler Double Six sold for $2,970,000. Another English car was this 1953 Jaguar C-Type which went unsold on the block but found a buyer a few minutes later with a little behind-the-scenes work from the folks at Gooding & Co. The final price was $3,725,000. This 1919 Miller TNT is sort of the pre-Miller Indy Car Miller Indy Car. It’s an ex-Harrah Collection car and it sold for $1,210,000. One feature car that didn’t sell was the 1911 S.P.O. Raceabout. The 1960 Porsche RS60 did, however, bringing $3,465,000. Two more million-dollar Ferraris included a 2003 Enzo for $1,430,000 and a 1962 400 Superamerica Coupe Aerodinamico for $2,365,000. This 1972 Lamborghini Miura P400 SV sold for $1,375,000. Duesenberg recap time! Only the ex-Clark Gable Model JN went unsold. The Model J known as “Blue J” went for $1,980,000. The Willoughby Limousine was the bargain of the bunch at $330,000 and the Murphy Convertible Sedan sold for $522,500. And okay, I lied when I said we would only highlight million dollar cars. Here are some of the more interesting lots sold, starting with a 1970 Monteverdi HAI 450 SS Prototype for $577,500. And some pre-WWI cars, beginning with this 1913 Pope-Hartford Model 33 Four-Passenger Touring Phaeton. It sold for $319,000. 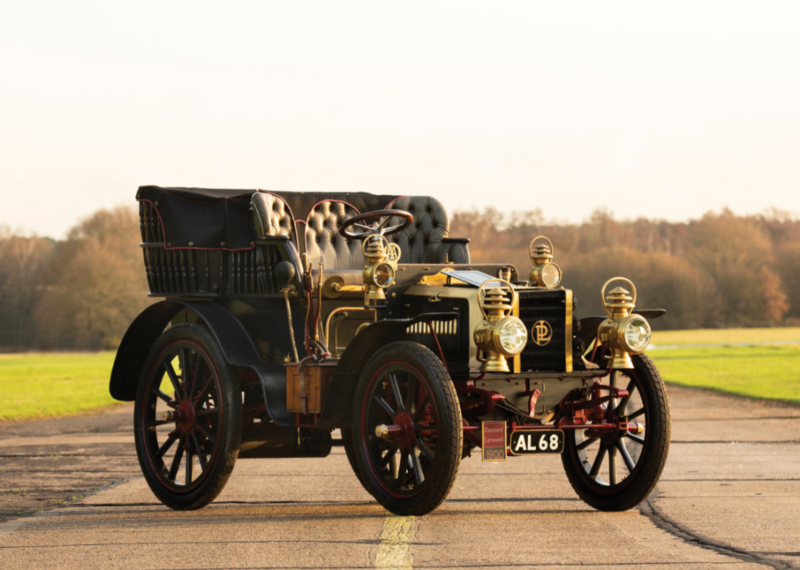 This 1904 Knox Tudor Touring was the earliest car at the sale. It brought $198,000. And this really cool 1907 Panhard et Levassor Model U2 Transformable Seven-Passenger Town Car with body by Audineau & Cie is, I guess, an early version of the “retractable hardtop.” Instead of retracting, in this case, the entire top half of the town car body comes off to turn it into a large touring car. See the “before and after” photos below. How cool. It sold for $264,000.